Clothing is a costly investment. Unfortunately, styles do not always last as long as the garments themselves. 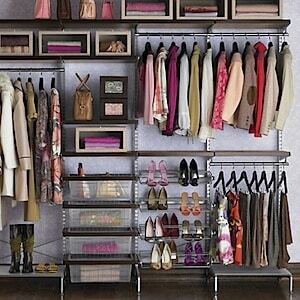 Few of us can afford to replace our wardrobes every year. As quickly as the seasons change, so does what’s in style. So what’s a person to do? You can “redo” your wardrobe if you’re handy by making a few modifications. You will need scissors, needle and thread, some buttons and some trim to pull this off. If you have some old belts, you can renew them by swapping out the buckles. As long as the old buckle is in good shape, put it aside. You may be able to reuse it in a year or two. Buttons can change the look of a blouse, shirt or jacket. Snip off the old ones and save them for another project and replace them with something different. Don’t be afraid to use something loud and daring to jazz up a garment. In addition to changing the buttons, you can change the style by altering the fit. You can take in the waistline of a loose-fitting jacket to give it a more fitted look. Also sleeves currently are narrower and shorter than in previous years. Shorten the length and take them in. You’ll have a whole new look. You can make a simple blouse more sophisticated by adding some lace to collars and cuffs. Faux fur can also be added to collars and cuffs for a different look. Any type of trim can completely change the look of a garment. Go easy on the selections though as trim can be quite pricey. If you are cleaning out your closet, you may find some real gems tucked away in the far reaches. Be careful not to alter vintage items. Some of those are making a comeback and might even be worth a couple of dollars if you decide to sell them. If you decide to overhaul though, get ready to make some major changes. Shorten the length of skirts in keeping with what you are comfortable with. Some dresses and even blouses can stand to have the sleeves completely removed. You can also remove or trim down lapels. I would recommend being careful with these serious modifications as once you cut it away, there’s no going back. Since trim and embellishments can be pricey items, shop the thrift stores and yard sales to find these items. You’ll often find remnants and bundles of items for pennies on the dollar this way and save even more on your wardrobe overhaul.